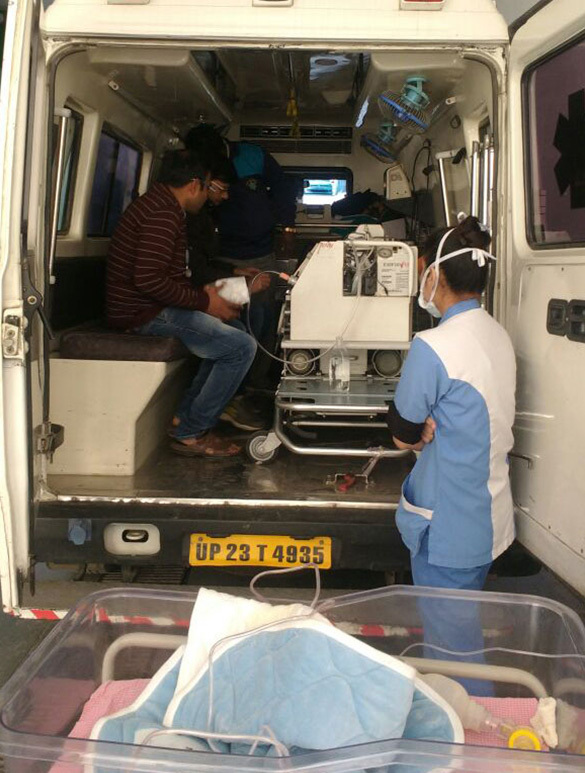 Offering Ambulance Transport Services for newborns and children in critical condition. We offer transportation services for children who require an increased level of care not readily available in common ambulances due to their specialized equipment and training. 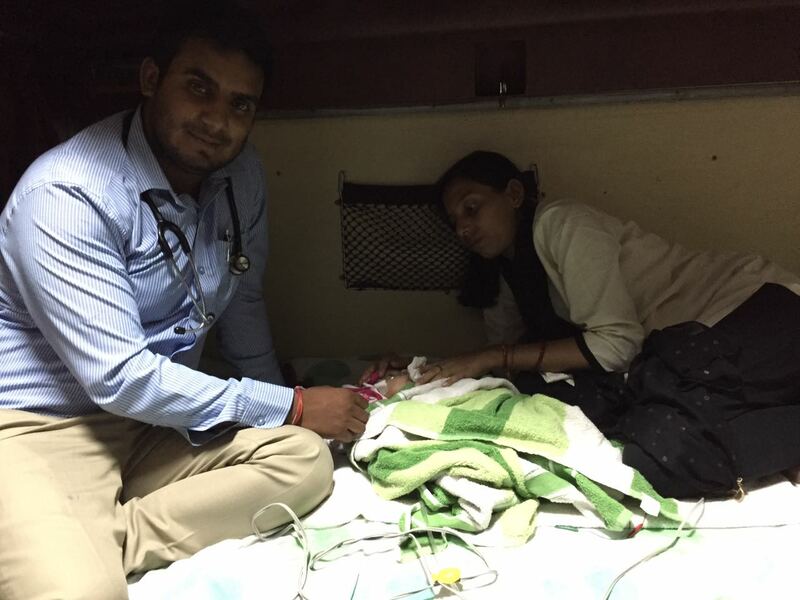 Our Pediatric Transport Team is able to extend ICU expertise to the critically ill or injured child during transport. 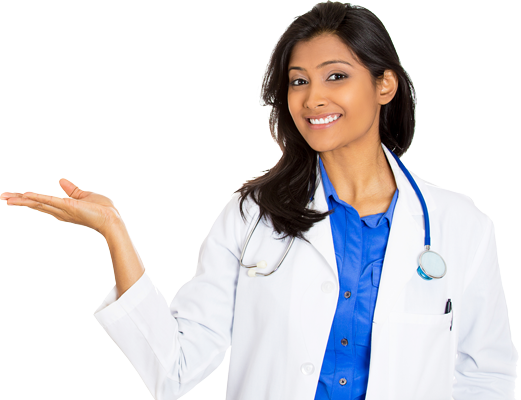 Life Savers Pediatric Transport service also strives to maintain the highest standard of care. And is furnished with life sparing machines and every other medicine to make our rescue vehicle like a consideration unit in the healing center. The Pediatric Transport Team is available 24 hours a day, 7 days a week and has the goal of providing both children and their families with the highest quality of care while en route to the hospital or home. 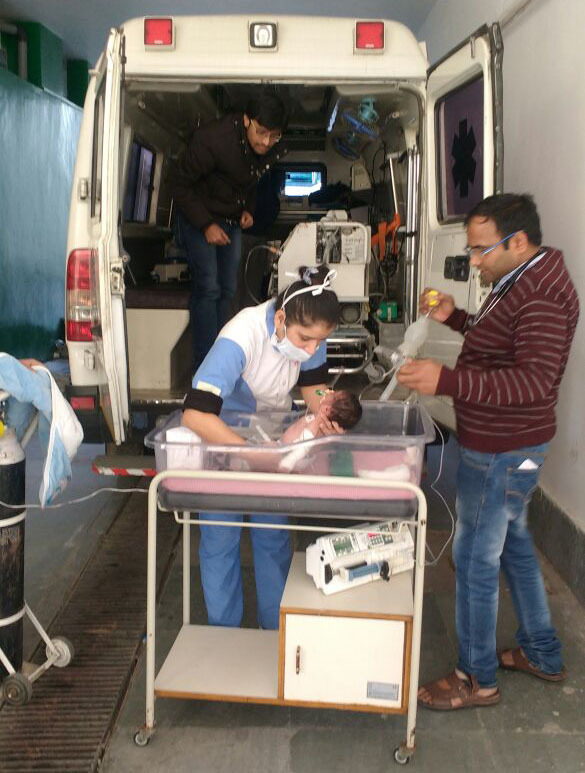 Premature newborn baby(weight- 1300gm) shifted from Haldwani to Delhi (SIR GANGA RAAM HOSPITAL) by ICU ambulance in INCUBATOR with Doctors team. 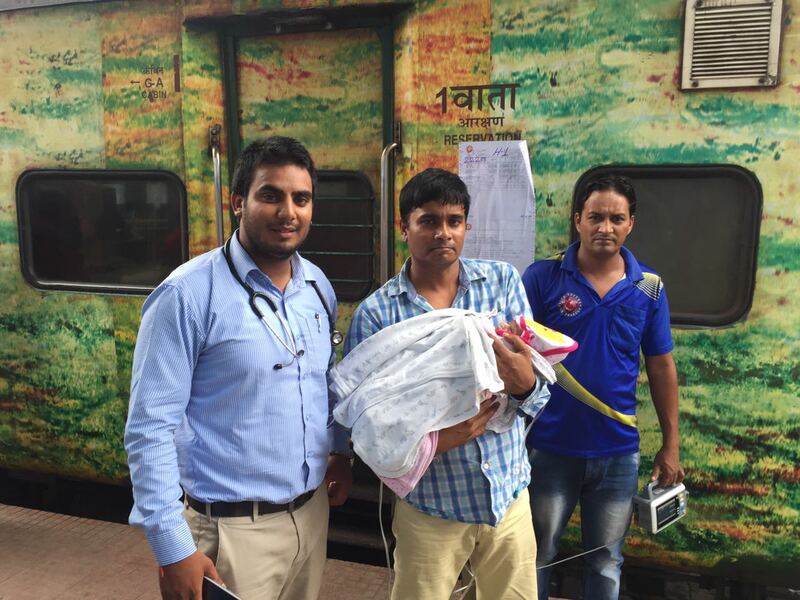 The act of pediatric/neonatal between inter-facility transport keeps on growing. 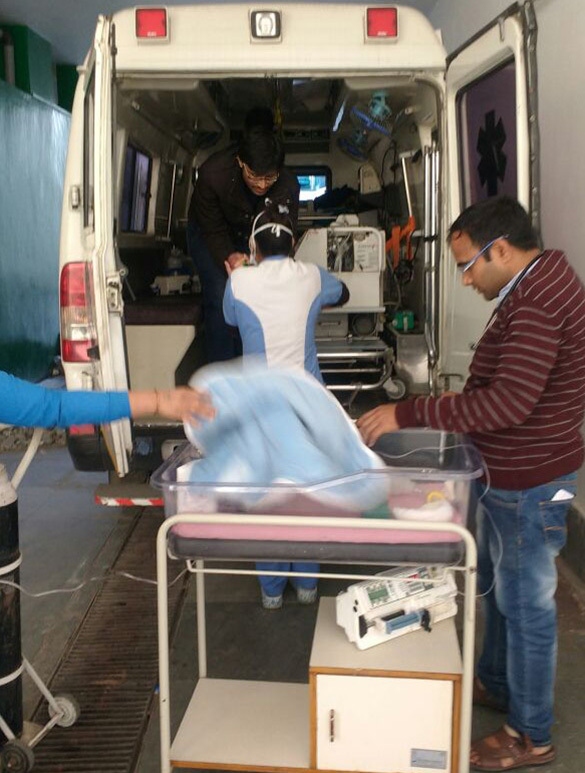 Transport groups have developed into versatile ICUs equipped for conveying best in class basic consideration among pediatric and neonatal transport. 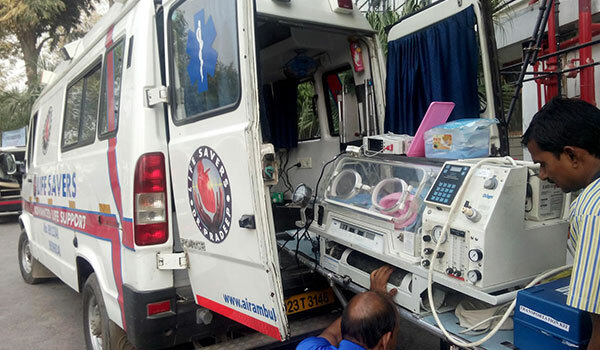 Medical transport of high-risk and fundamentally sick babies requires exceptional workforce and concentrated equipment. Preferably, a Lifesavers transport group frames a solitary part connected with a bigger arrangement of pre-birth care made out of a tertiary consideration neonatal emergency unit), (a pre-birth care unit, frameworks of medicinal and surgical pediatric subspecialists, and a neonatal effort program. Pediatric patients are not little grown-ups with only a distinction in size and body weight. Their one of a kind physiology, psychological and formative development require a specialized approach and healing environment. All kids need children's' healing centers. Inter-facility transports enhance access to pediatric consideration. 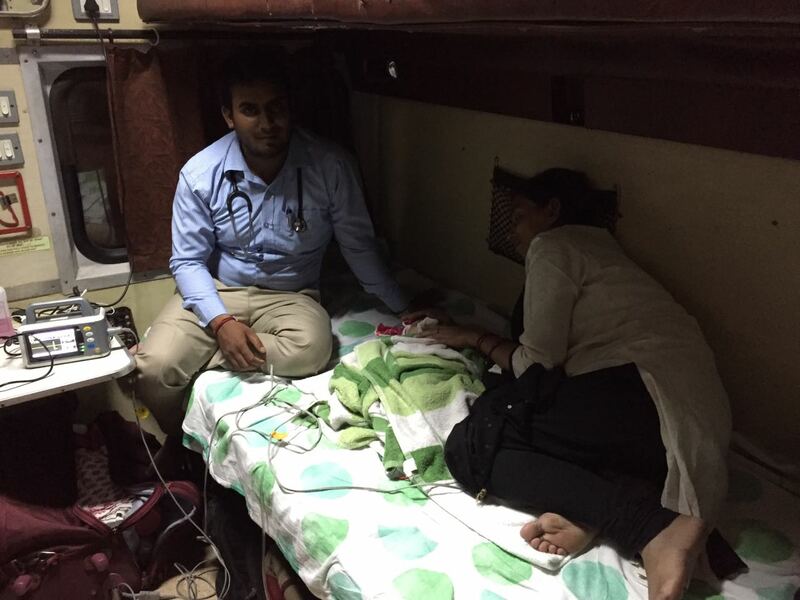 The point of such exchanges is the opportune and safe transport of child patients, early start of particular pediatric consideration and combination of consideration amongst various suppliers. A critical number of neonates require the eminent exchange to a tertiary consideration focus, regularly due to therapeutic, surgical like, Cardiac, etc...., or quickly rising baby blues issues. These are termed "outborn" neonates since they have been conceived some place other than the facility to which they've been exchanged. 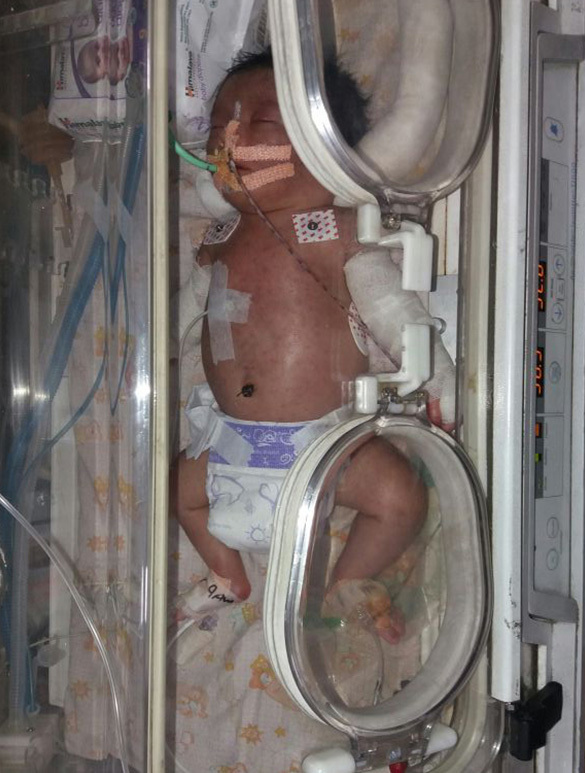 Since the result of an outborn neonate with real therapeutic or surgical issues (counting amazing rashness) stays more terrible than for an inalienable newborn child, essential accentuation ought to dependably stay on pre-birth determination and consequent in-utero (i.e., maternal) exchange at whatever point conceivable. In spite of cutting edge preparing and innovation, moms, for the most part, make the best transport hatcheries.